Diatom(Large), 2014, 17″ diameter, wool, beeswax, thread, recycled fill; hand felted, stitched, encaustic. 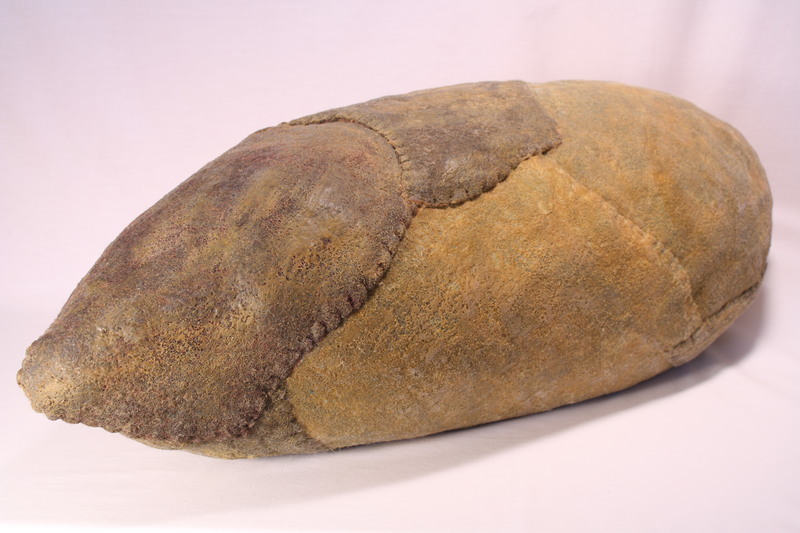 POD(Patched), 2014, 11 x 39 x 13″, wool, beeswax, thread, recycled fill; hand felted, stitched, encaustic. 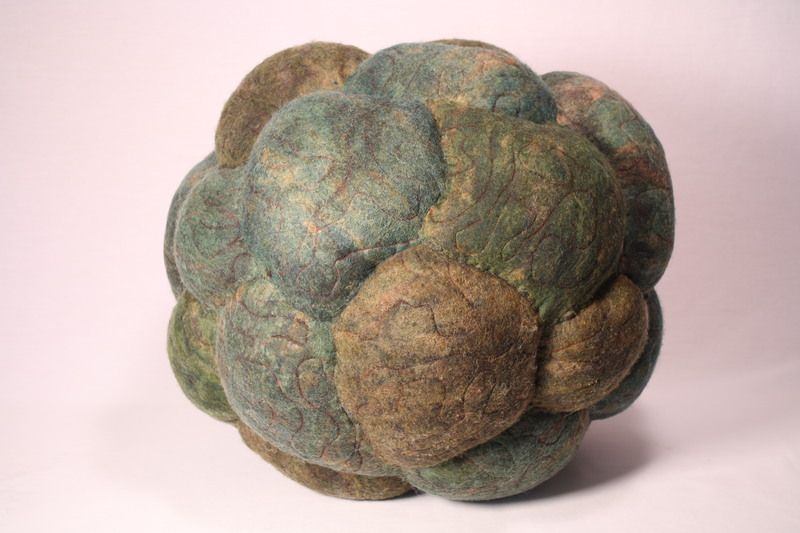 Diatom, 2014, 16″ diameter, wool, beeswax, thread, recycled fill; hand felted, stitched, encaustic. 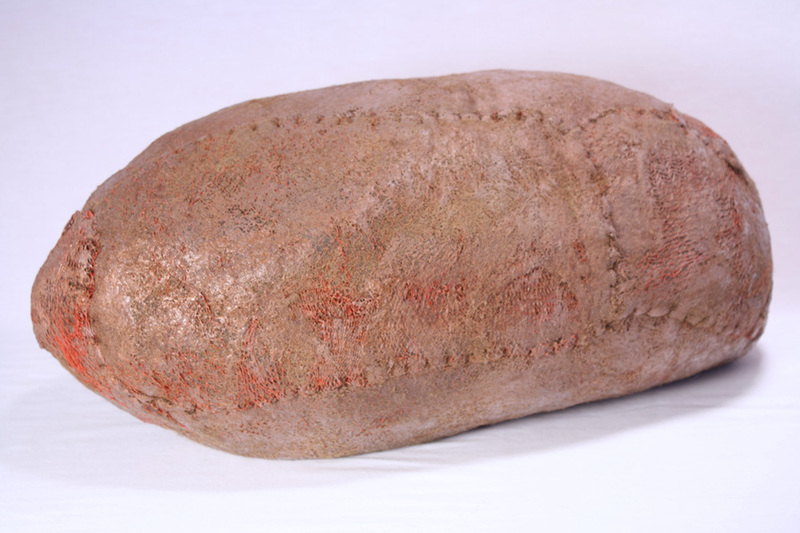 POD(Rednet), 2013, 10 x 22 x 10″, wool, beeswax, thread, netting, pigment, recycled fill; hand felted, stitched, encaustic. 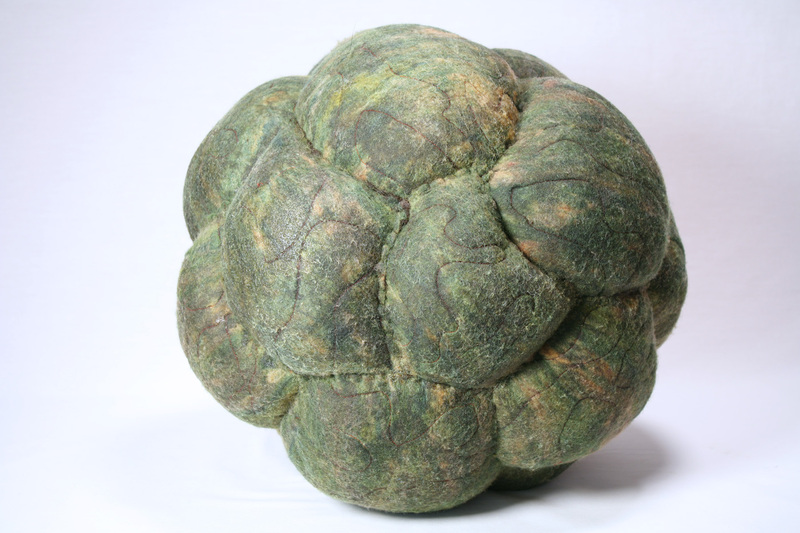 POD(Marigold), 2014, 7 x 16 x 8″, wool, beeswax, marigold petals, thread, recycled fill; hand felted, stitched, encaustic. PODS13(2), one of a series, dimensions variable. PODS13(3), one of a series, dimensions variable. PODS13(4), one of a series, dimensions variable. PODS13(5), one of a series, dimensions variable. PODS13(6), one of a series, dimensions variable. PODS13(7), one of a series, dimensions variable. PODS13(8), one of a series, dimensions variable. PODS13(9), one of a series, dimensions variable. PODS13(10), one of a series, dimensions variable. PODS13(11), one of series, dimensions variable. PODS13(12), one of a series, dimensions variable. PODS13(13), one of a series, dimensions variable.